Ulf the Quarrelsome cut open his belly, and led him round and round the trunk of a tree, and so wound all his entrails out of him, and he did not die before they were all drawn out of him. From Njal's Saga, Ulf kills Brodir in revenge for the death of Brian Boru. Sculpted by Angel Terol. 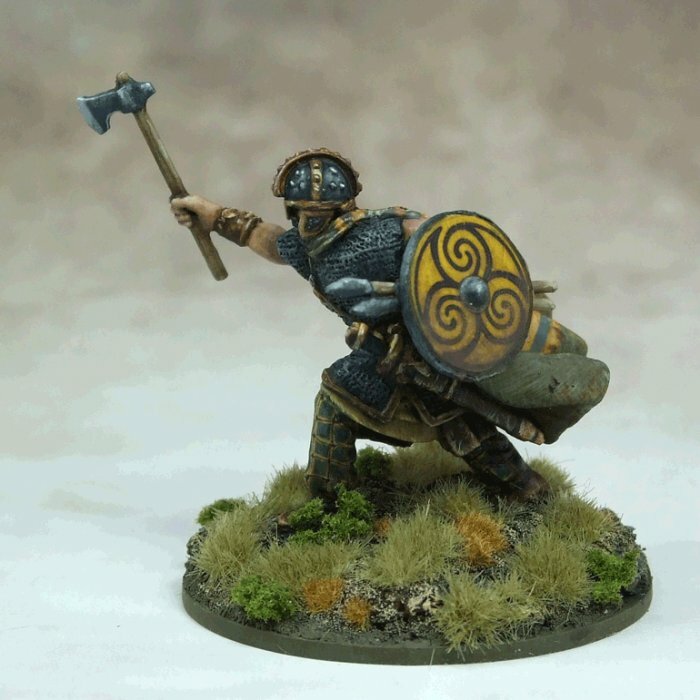 Examples painted by Darren Linington. Supplied unpainted. 28mm sized metal figure.